Often, when on a holiday, it’s the little things that catch my eye rather than the BIG obvious touristy thing that everybody is rushing to see. I like the others, see the touristy thing too, but often I look around and there is so much more! Sometimes it would be a small insect, sometimes a different kind of leaf, and yet at other times the way the slant of sunrays light up a particular spot or a local resident going about their daily chores that make me want to capture it so that I can relive those moments, taking them out , like carefully hoarded treasure, on dull dreary days(You’re bound to have your share of those),examining them, cherishing them and before I realise the dullness has worn away around the edges and the day does not seem drab any more. Today I'll share with you some pictures of people that I clicked on holidays to various places. I sometimes put myself in their shoes and wonder what their day is like. They too have hopes. They probably have a family too. They will have a loved one who is thinking of them, waiting for them. 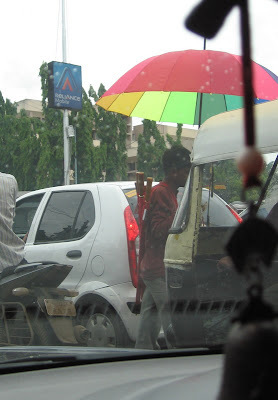 An Umbrella seller at Pune,India. I clicked this from inside my warm cozy car while he was out there in the rain selling such colourful umbrellas in wet, cold weather. 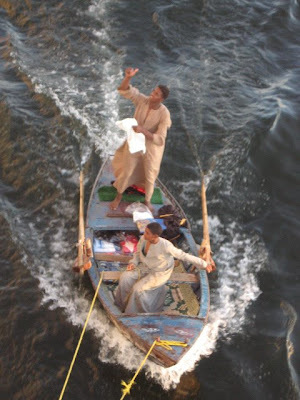 The Galabya traders on River Nile. They row their wares on a tiny boat and come very close to the ship and throw a rope and attach their boat to the ship.They kept calling out to the passengers on the Cruise. They were finally shooed away by the Captain of our ship. 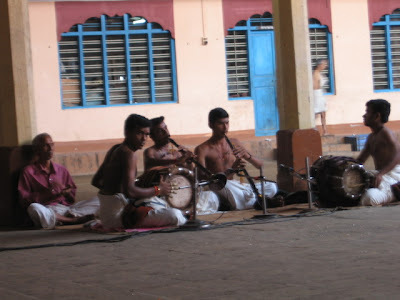 The temple Musicians at Ernakulam, Kerala,India. They are talented and train for years to be able to play the way they do. Yet they are not very highly paid. The vegetable sellers at a small village called Naraynpur near Pune, India. 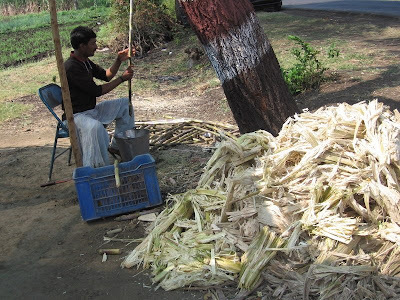 A seller of Sugarcane juice on the Highway near Panchgani, Maharashtra, India. If you are reading this, it means you have access to Internet and chances are that you , like me, are definitely better off financially when compared to them. But what we need to think about is, are we happier? Are our lives truly richer? Isn’t it memories full of moments, that make up life? A Sanskrit shloka says “Yesterday is but a dream, tomorrow but a vision. But today well lived makes every yesterday a dream of happiness, and every tomorrow a vision of hope. Look well, therefore, to this day.” Wise words indeed. Live today well. Make your moments. Cherish them. And if you have had a particularly nasty day, don’t worry—there’s always tomorrow to start afresh! It was really nice of you to share them with us! And I agree often the local culture and the daily tidbits of people elsewhere are far more interesting than the touristy thingys. this post is in away reflecting one of my fav quotes.. When are u comin to Mumbai for the book launch? Preeti, off topic: the Indian Express link leads to a blind alley. Check and add again the page. Here through Shalini's blog. How's the book doing? Interested in joining a writer's club in Kochi? Cheers and best.. Empathy in pictures! Very nicely done. If only all human beings put themseleves in other's shoes - we would have a much nicer world to live in. Landed here from Anamika's blog. Keep up the good work. its so true that we have so much with us and yet we are never satisfied.,.. and probably thats the reason I thank God everyday for whatever he has given to me...:)..
Lovely pictures and I absolutely totally agree! We don't realize how fortunate or blessed we are, until we see others who we 'think' are unfortunate! I feel guilty for having a 'better' life than them, i mean a more comfortable life. Maybe, I am wrong! ..very true...there are days when it starts pretty bad...but by the time it ends..it feels like a good day.. It's a beautiful thought. and i loved the pictures too. Hi.. I ve been reading your bolgs for the past four days.. i m happy to have found your blog amongst the hundreds in blogosphere... each blog is "nice".. i have suggested this blog to other friends too.. calling it a "nice blog" right from the way it looks to how u refer to the ppl who comment ("X nice people ...") Thanks for writing!!! I also found 2 other blogs (ur friends) thru ur blog.. they wr inspiring too... i hav read all the blogs under musings.. :) in the past 2-3 days.. become a kinda fan..
hey yet another nice post.... completely agree tht ppl like us r far more better than many ppl around. So live everyday as if there's no 2morrow! I yesterde started reading ur book 34 bubblegums and candies. Just gone through 15-20 pgs of the book and i loved it. I wonder how do u manage to call up small small incidences in ur life n put them so beautifully! while going through it I could relate it to so many things in my life as well. Kudos! How perfectly put! It reminds me of this saying that went "I was unhappy that I lost a shoe,until I saw a boy who had no legs". There is so much we have to be thankful and appreciative for. Thanks for giving all the readers a much needed perspective. Wonderful Quotes!Thought provoking indeed!and the photos too are very unique that needs copyright.Watch out! Maggi:Thanks so much!! Well--what i was trying to say is that we may not be happier than them, just because we are financially better off! 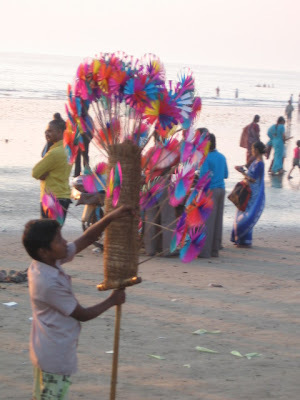 Shyamala: :) Glad you like my writing :)As regards other blogs, blogrolling is playing a trick with me and they seemed to have vanished without a trace now! Shalini;Yes--you got exactly what i was saying. Prakhar:U are one of th few who get exactly what i am saying! :)Thanks! Pretty woman:Yeah! Who can measure contentment?!! Santasizing: Yes.I feel grateful for the blessings too. Josh:Thanks for pointing that out.It was fine sometime back.Maybe its because its in beta.Have rectified and linked to a scan of the same now.Another artilce too had appeared in indian express.See 'Media clippings' at the top right hand corner for links. Revathi: :) Everybody has responsibilities. Palsworld:Don't think Mumbai is happening.Will keep you informed. Only one;Thanks!Tried to see your blog--but there is no link in your profile. Such wonderful pictures attached to some really cherished memories. Thats what these kind of pictures portray...and you are so right...live for today..
U really made us wear their shoes and wonder what their day is like. Thnx a lot for sharing such wonderful photos with us. Thought provoking pictures. And I agree with your thougts totally. "Look well therefore to this day" - will make a lot of sense if we'd try and follow it! Ur pictures inspite/becasue of being so wonderful make me think.. I specially loved the one wit the man selling umbrellas...its a sight we get to see everyday in india, but never pause n ponder over it. When i am visiting places..specially the ones of scenic beauty which are most often less-populated and remote..i alwez wonder how people live their day-to-day lives in such places...just selling neembu-paani or some other thing to tourists! I agree it is the small things which do matter. Nice of you to share some of your moments. Happiness is state of mind. Even a billionaire can not say for sure that he is happy as his mind is preoccupied with what next? But a begger may feel happy as he feels the day has been good. True, nothing will come out of fretting about past except learning lesson and what will happen will happen in future so worrying will not change it. Take today as it is. I was looking for your reply to my comment in the previous post. Love your pictures, they make me want to visit all those places. Lovely message...i cannot agree with you more...i always feel that i have been more fortunate to have a life that i have and that the least i could do is to be content and happy instead of complaining to God about my petty problems ! The pictures are very touchy...just a quick wish to God - All the needy get some ray of hope today (and always if possible) and bring a smile in their face. Oh ho...I guess my blog is playing truant avec toi. I like this post...especially because it points to as truth which we often miss...a trap we often fall into is to compare and measure our own happiness with that of thatwe percieve to be the happiness of others. We are onto a losing horse with that one as all happiness is realative. How well I am keeping you!! And What I was till yesterday!! Maddy: beautifully said.Thanks for sharing! Still thinking: Lets hope blogger cooperates! Satya: :)I enjoyed the poem. Radhika:Many of them are indeed happier than you or me! Jack:i agree too.Sorry i missed replying to your comment in my last post. Will catch up. Pavi: i liked the rain pic too.Thank you. Sushobhan:Here I am struggling under workload to catch up with my blog comments itself!!! :P will do --leisurely. Durga: we have to make it happen! Swetha:Thank you for letting me know! 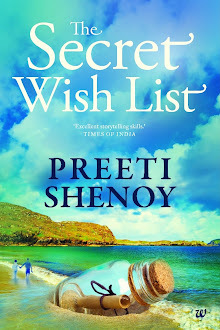 Shantharam: Thanks for the review and thank you for the mention.I managed to finally read it. Hey.. Good morning. :) have a nice day. :) there was a lot of spelling mistakes in my post.. Hee.. I went to Bangladesh and realized that people have more time to relax and unwind and there are no worries of paying bills. They come and go as they please but there is always worry of what they will eat during the rainy season because the country's staple diet is rice. Can i put your book's image in my favorites list ? infact I was part of one of journeys happening around..
More then clicking , i believe the moments are to be felt and frozen in the memory...so i personally avoid clicking such moments because eventually no matter how hard u try, people wont be able to relate to them as u did at that moment. Vivek: I don't click them for people.I click them for myself. I don't expect people to relate to them.Merely shared as they suited the post. To each his own. Memories do fade. Marjnhomer:many parts of India has rice as their staple diet too. Whatever nice things I wanted to say abt this post has been already said by one or the other above.So I'll just ask one quick question which came to my mind..Did you buy anything from any of those people in these fotos? sure , my pleasure ! All the pictures def suggest one thing each person is truly immersed and is devotedly doing his/her job. All pics are beautiful.Hope we too realise the dignity of labour. 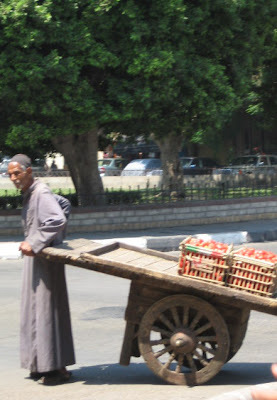 hey ,you notice the old lady selling vegetables?I think i have seen her somewhere here in bangalore. The 'touristy' sounds very sweet.Your invention? Even though i dont have a pc at home ,i felt it was worthwhile reading your blog after visiting a net cafe.keep up the good work. 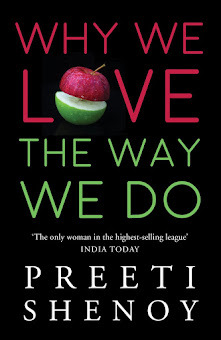 This is a wonderful post Preeti. The shloka is so very true. I just got back from India and managed to purchase your book - had to go to 3 crossword stores before I found a copy. I havent read it yet :( but will do that soon! The rules of the tag are: Post 5 links to 5 of your previously written posts. The posts have to relate to the 5 key words given (family, friend, yourself, your love, anything you like). Tag 5 other friends to do this meme. Try to tag at least 2 new acquaintances (if not, your current blog buddies will do) so that you get to know them each a little bit better. Lovely shots!I simply loved the third one. The pics are too good to comment upon! There are sure such moments in everyone's lives but most people ignore them for thngs they think are bigger or better...Glad that u noticed, and made us all stop and notice too!